Choose from the wide range of Filing Cabinets by Exclusive Furniture World. Wholesale Office Organiser With Drawers 38 x 13 x 31cm. Measures: 38 x 13 x 31cm.Practical, modern, .. This shabby chic set of drawers has a unique union jack design incorporated on the 4 drawers. This s..
Wholesale Shabby Chic Small Wooden Cabinet with 4 Drawers 37.5 x 14.5 x 24 cm. Measures: 37.5 x 14.5..
Wholesale Six Drawer Storage Cabinet 32 x 13 x 24cm. Rustic finish. Manufacturers product code: N014..
Wholesale Storage Drawers (with 16 drawers). Manufacturers product code: N0159. Measures: 35 x 15 x .. Storage Drawers (3 drawers) 28 x 23 x 28 cm. 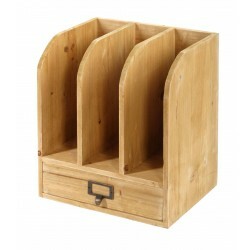 Very useful small set of 3 wooden drawers complete with.. Storage Drawers (4 drawers) 25 x 15 x 16 cm. Set of 4 wooden storage drawers for various uses. Good ..
Wholesale Storage Drawers (with 6 drawers). Measures: 23 x 15 x 27cm Internal draws 10.5 Depth x 7.5.. Tall 4 Drawers Wooden Storage 23 x 13 x 34 cm. Small 4 drawer wooden desktop cabinet. Handy wel.. Wide 6 Drawers Wood Storage Organizer 80 x 14 x 20 cm. Long wooden desk top or wall hanging cab.. Wooden Files with Drawer 30 x 23 x 35 cm. Attractive wooden desk top file /paper work holder with dr.. Wooden Paper Tray 25 x 34 x 10 cm. Attractive and useful wooden office tray. Sturdy and well made an..